Swordfish meatballs served on challah. Paella stuffed knishes. Savory rugellah wrapped around ground lamb. A garbanzo stew recalling the Spanish Inquisition and a Shakalatke. 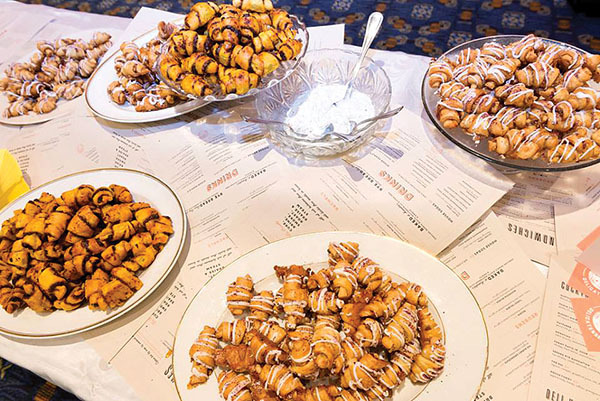 Boston’s top chefs, bakers and drink purveyors from in and out of the Jewish community served up inventive Sephardic style dishes at Beyond Bubbie’s Kitchen, the popular food event held last month at Boston’s Back Bay Event Center. 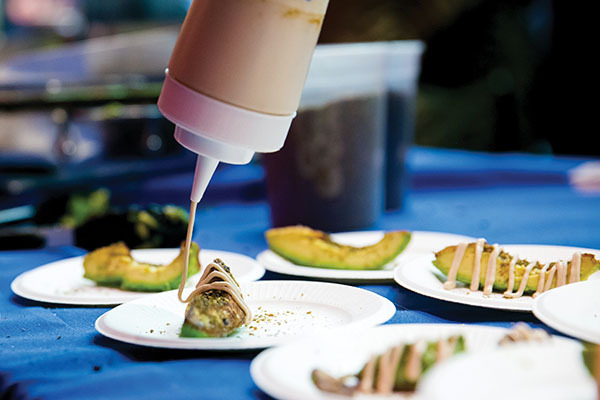 More than 400 eager diners lined up at a dazzling array of tables set up by area chefs for the eighth annual Jewish food gathering created and produced by the Newton-based Jewish Arts Collaborative. This year’s Sephardic theme definitely shook things up, according to Laura Conrad Mandel, JArts executive director. “I think people in this community are more familiar with Ashkenazi traditions, and the Sephardic twist added a learning curve and inspired extra creativity. This was also the first time that we had multiple restaurants create cocktails on theme, an addition that will become a new tradition,” Mandel said in an email after the event. Jim Solomon, owner of The Fireplace, in Brookline, served up a richly flavored and delectable stew boldly named, “Spanish Inquisition Remembered,” a garlicky cocido with garbanzo and spinach served over couscous. Solomon developed his version of a traditional Spanish and Sephardic Jewish recipe, spiced with smoked paprika and cumin, to recall the fifteenth century Spanish Inquisition – a time when Jews were forced to renounce their faith. The stew was often eaten at Purim, a holiday that commemorates a time when Jews were also forced to hide their identity, Solomon discovered. It brings the centuries-old stew into contemporary times, he said, when refugees are being singled out based on ethnicity and religion. A babaganoush taco with pomegranate slaw and crispy lentils created by Whole Heart Provisions in Allston burst with flavor and texture. The dish, created by co-owner Rebecca Arnold, garnered the “most delicious” award from the voting crowd. Arnold said it was a fun way to incorporate Sephardic flavors and spices into an easy to prepare and easy to eat dish. 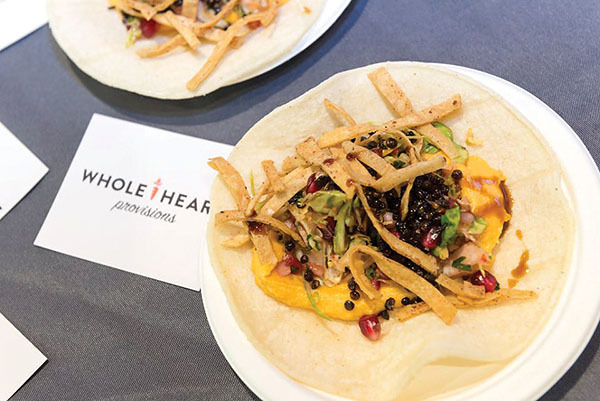 Babaganoush taco with a colorful pomegranate slaw and crispy lentils by Rebecca Arnold of Whole Heart Provisions was voted “Most Delicious” at the 8th Annual Beyond Bubbie’s Kitchen on February 26 at the Back Bay Events Center. For La Morra’s chef de cuisine Emily Vena, researching Sephardic food led to a revelation about the Spanish roots of meatballs, which she found in many Sephardic recipes. She adapted it for swordfish and added cinnamon and cumin, common in Sephardic cooking. Mamaleh’s Deli­catessen, the popular new Jewish eatery located in Kendall Square, was on hand with two varieties of its perfect home-baked flaky rugellah. One was delicately flavored with rose water. The savory version was a flavorful bite of Sephardi spiced ground lamb. Another original and delightful desert, Honey Squash Basboosa, created by chefs at Area 4, was a light and moist semolina cake served with Turkish coffee. Steve Peljovich, owner of Michael’s Deli in Brookline (originally in Marblehead), drew on his family’s Cuban and Polish-Russian roots for a Paella knish. Peljovich is widely known for his knishes – the traditional varieties as well as a weekly offering of a creative adaptation. He and his staff had fun with this and he expects to dish up the paella version now and again. Mei Mei’s steamed chickpea bun, created by Benjamin Stroud, was voted “most innovative.” Stroud combined a traditional Chinese steamed bun with a Middle Eastern falafel filling served with a squash seed tahini and fermented rice cabbage. The result was a delicious blend of flavors and textures. The brilliantly named shakalatke took home the “most Jewish” award. The dish, created by the mother and son team of Inna and Alex Khitrik of Inna’s Kitchen is an amazingly tasty mashup of two beloved Ashkenazi-Sephardic foods: the Middle Eastern shakshuka, with an egg pouched in tomato sauce served on a thin potato latke. The dish is served regularly at Inna’s Kitchen food stall at the Boston Public Market. What is a Jewish food event without chicken and matzah ball soup? This outstanding version was created specifically for the event by the chefs at Catalyst Restaurant and the new Catalyst Cafe, both in Kendall Square. “We wanted to embrace the Sephardic twist, and infused some Spanish and some Moroccan flavors,” according to restaurant chef Joshua Brooks, who was there with Cafe chef Laura Molina. The matzah balls were seasoned with toasted cumin, coriander and some black pepper. Tradition ruled for the rich and flavorful soup, with roasted chicken stock, parsley, carrots, onion and celery. Among the creative drinks was “613 Punch,” served by Offsite’s Melinda Johnson. The zesty blend of pomegranate liqueur with apple and honey vodka, orange blossom water and other citrus takes its name from the number of mitzvot. Also popular were a variety of local ales offered by Atlantic Beverage Distributors. A new culinary service called Nichef made its debut. Founded by husband and wife team Jeremiah and Lisseth Berman, Nichef, based out of Roslindale, pairs people looking for help with a meal, special event or a celebration with chefs who will prepare the menu tailored for that client.  The new website, www.nichef.com, allows customers to chose chefs with a range of experience and offers options for different cuisines and dietary needs.